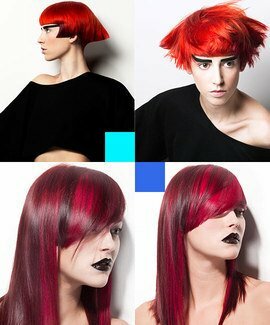 Learn how to colour hair with one of Britain's foremost hairdressing educators Christiano Lanza. Christiano Lanza’s passion for hairdressing began in the late 80s and early 90’s. His inspiring journey in education has led him to all four corners of the globe and proudly continues over 40 years of family traditions. In 2001 Christiano accepted a place with the highly acclaimed Vidal Sassoon team. Achievements in creative and assessors awards included the title of Colour Director. Whilst much of his time was spent teaching at the London academies, Christiano also represented Vidal Sassoon in several international shows and seminars as well as featuring in the development of collection techniques in videography publications. Since 2011 he has continued to work along side leading manufactures, acting as both a consultant and as Christiano Lanza Ltd. While he is fully committed to educational events, in-salon consultancy and team building remain key to his success. His continued innovational thinking is at the forefront of modern education and shares a unique philosophy in the importance of communication of shape and colour in hair design. Christiano is an engaging and passionate educator, widely respected for his expert knowledge with an innate understanding of students from all cultures and their individual needs and motivations. 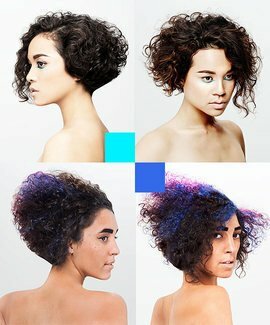 This collection teaches 3 curly bob hairstyles with complimentary colouring techniques to release, support and enhance exquisite curly hair. The collection consists of five lessons from internationally renowned hairdressers and educators, including China’s Gary Woo and the UK’s Charmaine Piche, Tim Hartley, Christiano Lanza and Michelle Thompson. This collection is perfect for intermediate hairdressers looking to extend their services and broaden both their cutting and colouring skills.